It’s just like the ones in the grocery store! 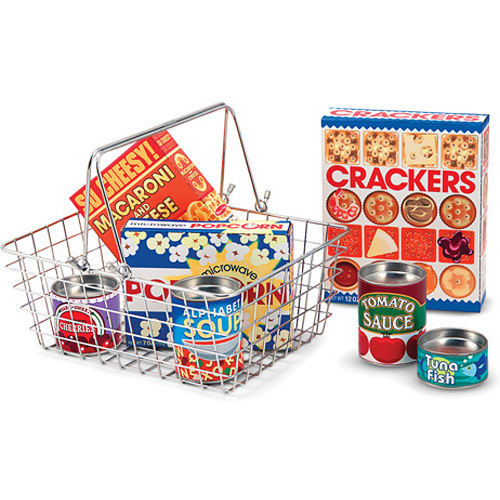 The Grocery Basket makes shopping fun and easy. It even includes pretend food with 5 play cans and 3 play food boxes. Heavy steel construction, with a handle that folds flat. Fill it up with yumminess! For ages 3-7 yrs.